The marketing landscape of today looks vastly different than that of the past. Today, social media offers business owners with new tools to market their brands, services and products. Many business owners are using social media marketing to increase their online visibility, to generate new leads, and to convert leads to sales. If you are wondering whether or not social media marketing can help you to reach your business goals, you are not alone. Many people just like you as seeking a way to use social media to their advantage, and these individuals all have varying degrees of success. If you are ready to begin using social media marketing for your business, you may greatly benefit from the following pointers, which are designed to help you to create an effective social media marketing plan for your business. The first thing you need to do in order to begin is to set short-term and long-term goals. Do you wish to increase the traffic to your website or blog, or are you seeking hard sales? For example, if you are seeking to generate new business leads, you can set yourself a short-term goal of generating 25 new business leads in one calendar month. Then you can set a long-term goal to compliment the short term goal, such as generating 200 business leads per year. That will help you to challenge yourself to meet and surpass your monthly goal in hopes of reaching your yearly goal as well. Twitter and Facebook are the two most popular social networking websites. However, they are not alone in the vast landscape of social networking sites. LinkedIn may be useful for many business owners. Simply creating a LinkedIn profile for yourself or your business can lead to endorsements, recommendations, and new business relationships. If your business is within a specific niche market, you can search for social media networks that pertain to your specific niche. That is a terrific way to gain exposure within your business’s specific niche. 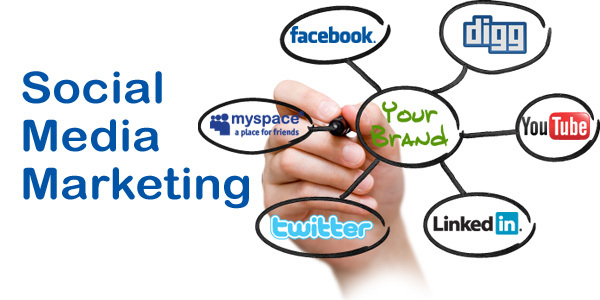 The most important thing that you need to do is to create a social media marketing road map for your business. The better your plan, the more likely you are to meet your designated goals and be successful with your social media marketing efforts. Create a plan that involves using your content on a specific schedule, and know what will be coming next as you are posting the current content. If you are having trouble designing and creating an effective social media marketing plan for your business on your own, consider enlisting the assistance of a social media marketing professional. The team at TrueNorth3 is dedicated to helping business owners to successfully market their business via social media outlets. The sooner that you begin your social media marketing plan the better off you will be. Act today and you will be well on your way to meeting your business goals.